What’s going on in there? Every mother wonders how her habits affect how her baby is growing. Once upon a time it was thought that a baby in the womb grew according to a predetermined genetic blueprint, and as long as a mother took reasonably good care of herself, her baby would grow according to that genetic blueprint. Genes were believed to be so powerful that they determined growth, and that there was not much that nurturing could change. In other words, it was thought that nature was much more important than nurture in regards to prenatal development. New research shows that how the genes behave and how they affect your baby’s growth, for better or worse, are very much influenced by what a mother eats and does, and even by her level of unresolved stress. And research in the new field of epigenetics shows that a baby’s womb environment can set up a baby for health, or disease, for the rest of her life. Does diabetes or heart disease being in the womb? Learn about the fetal effect. Eat the top twelve pregnancy superfoods. Gain the weight that’s right for you. Go green; avoid environmental pollutants. Practice the pills-and-skills model of self-care. I’m a vegan, but I wonder if it’s a safe diet while pregnant? How many extra nutritious calories do I need while pregnant? I hear a lot about vitamin D deficiency. How much vitamin D do I need? Want more free book downloads? 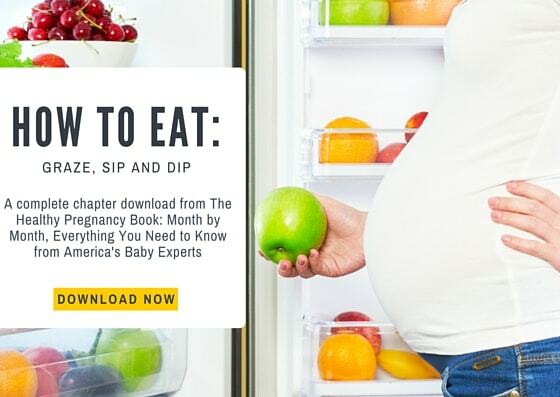 Subscribe the monthly Sears Family Newsletter to receive book downloads, articles and resources on parenting, pregnancy and nutrition! Click here to subscribe.